Are you frustrated with record keeping for your small business? Did you know that our professionals are Certified ProAdvisors? 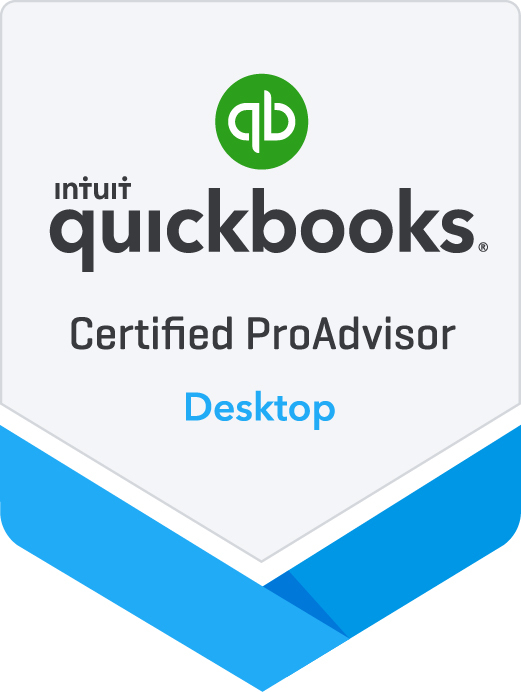 Each year, we complete the extensive training provided by QuickBooks so that we can provide support for our small business clients. Many small business owners purchase an accounting package, but are at a loss in getting it properly set up. An accounting package, like QuickBooks, should be a time saver for you. It should also help you run your business more efficiently and provide reports that steer your business in the right direction. But it will become a huge source of frustration if you don't get started properly. Our professionals can assist in getting your QuickBooks file set up properly to begin with and provide ongoing training and support. Call us today to see how you can get started!